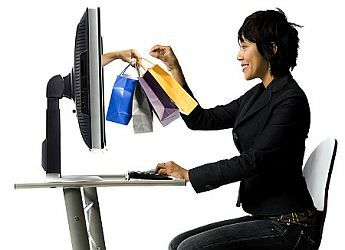 Access Market Square - Centralized web site for exciting places to shop online around the planet. Alibaba - Find quality manufacturers, suppliers, exporters, importers, buyers, wholesalers, products and trade leads from this award-winning international trade site. Amazon - World's largest online retailer. BizRate - Millions of products at thousands of stores. Comparison shop for quality and price. Buy - Offers the latest computer hardware and software, the newest releases of videos and DVDs, the hottest console and PC games, chart-topping music CDs. Chelsea Premium Outlets - Brings together the finest brands, unique outdoor settings, and savings of 25 to 65 percent every day. See locations here. C|NET Shopper - Computer shopping portal - hardware, software, peripherals. coolshopping - The "coolest" shopping sites on the net, hand picked by the coolshopping team. DFS Gallerias - DFS Group Limited operates more than 150 stores in 15 countries throughout Asia and the Pacific Basin, including the West Coast of North America. Its primary store formats include DFS Galleria anchor stores, duty-free and general merchandise concessions, boutiques in leading hotels and resorts, and specialty stores. These stores are located downtown in major cities near hotels and restaurants and in major international airports. GiantSavings - Shop by item or brand. A PriceClick company. Google Play - Music, books, movies, apps, and games all in one place accessible from the Web and any Android device. iQVC - Access more than 100,000 products including fashions, jewelry, electronics, collectibles and more. Jet - Part-Amazon and part-Costco, offering reduced prices to those willing to pay $50 a year for access to the marketplace. LuxuryFinder - Browse extensive luxury listings by category or brand. Her, him, jewelry, house and home, gourmet, luggage and travel, corporate gifts, Christmas Gift Guide. LVMH - Luxury products group. MaxStudio - Pants, skirts, accessories, knits, tops, dresses. Net-A-Porter - Designer clothes, designer shoes, designer bags and designer accessories from top designer brands: Christian Louboutin, Matthew Williamson, Alexander McQueen, Marc Jacobs and more. NetStoreUSA - Books, maps, sheet music, sports collectibles, posters, videos. OutletMall - Large Malls, Cyber Villages/Cities, Global Malls, Ethnic/Country Malls, Theme Malls, City, State, Regional Malls. Hundreds of stores populate the mall and are searchable buy product, manufacturer, keyword or description. The mall also features classified ads, a theater, graffiti wall, arcade, cafe chat, music videos, a comedy cafe and more. PriceClick - The gateway to PriceClick company-owned websites. shopLocal - Guide to local shopping. SHOPsheet - Web shopping center. Yahoo! Shopping Channel - Thousands of stores, millions of products. This webpage last updated on Wednesday, January 6, 2016 6:58 PM.